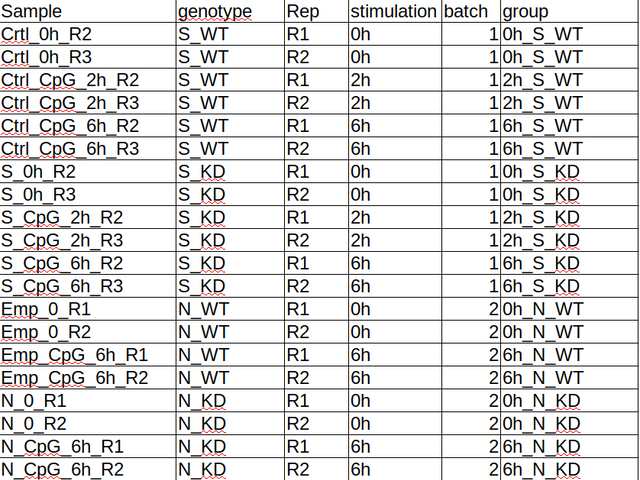 I have 20 samples, four genotype , three stimulation with two replicate each sequenced in two batch please see below table. Can somebody help in understanding how can i create design matrix to include batch effect in my design matrix. Thanks Michael for reply ! Yes I understood that it would be difficult to model batch and group since it is nested. 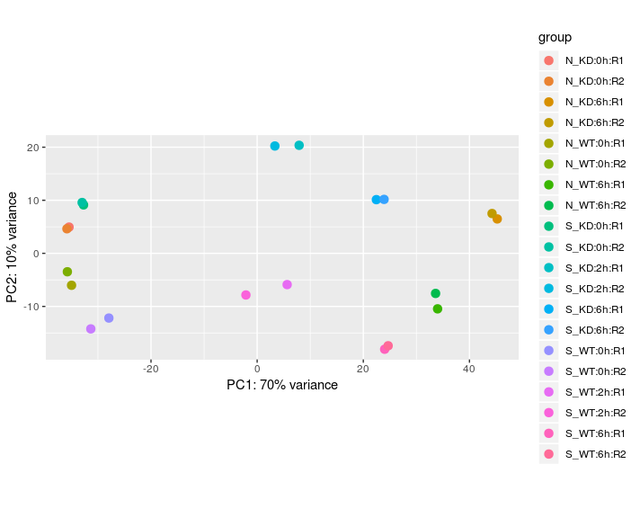 so I guess using only ~group in design should take care of variance and depth across the sample. I’m unfortunately too busy these days to provide such feedback on analyses. I reserve my support site time for questions about software and try to distinguish between those and questions about analysis. I’d recommend collaborating with a bioinformatician with experience in RNA-seq for more detailed feedback.